Planning your benefit auction is a tedious task that must be well orchestrated and properly executed. Does your non-profit organization understand what it really takes to have a successful live and silent auction? Does your organization truly know WHY people attend benefit auctions? How to go about soliciting donations for your auction? What types of items are poor auction items and what type of donations you should be seeking? What about added revenue generators? Where and how to promote your benefit auction event? What is the best time of year to conduct an auction and is a benefit auction appropriate for your organization? What is the best way to present your live and silent auction items? How many items should you have in your auction? What about legal and tax issues? There are many more areas to cover, however, this should give you a general idea of what goes behind a professionally conducted auction event. Kenny Lindsay Fundraising Auctioneers are certified benefit auction specialists with the experience to ensure that your silent and live auction will be a spectacular fundraising auction experience! The Auction Action Plan Workshop describes some of the steps necessary to make your live and silent auction the most successful and profitable venture possible. The Auction Action Plan Workshop describes some of the steps necessary to make your live and silent auction the most successful and profitable venture possible. A properly planned and executed live and silent auction is always entertaining and profitable, leaving your supporters feeling good about their participation! A good auction connects your volunteers and audience to your organization, making them feel more involved and important to the success of your fundraising efforts. Incorporating a live and silent auction to your fundraising efforts makes a world of difference to the goals of your non-profit organization. Setting A Goal – Goal setting is an effective tool for making progress. It ensures committee members understand what is expected from them so the objective can be achieved. Goals should be measurable, tangible, specific, and have a time targeted for completion. They should be realistic to achieve the intended goal. Goal setting is a major component of the Auction Action Plan©. Budget – Developing a budget for your live and silent auction is a critical component to the Auction Action Plan. After a short consultation with us, we’ll provide you with a recommended budget necessary to execute the most profitable live and silent auction event possible. 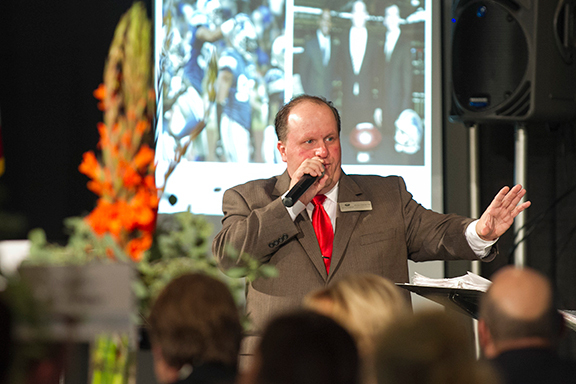 Hire A Benefit Auctioneer – Hiring an auctioneer specifically trained and experienced in benefit auction consultations and bid calling is the most important move your organization will make when it comes to your live and silent auctions. Unfortunately, most people think all auctioneers are created equal, are interchangeable and all they bring to the table is a rhythmic auction chant. That assumption could not be any more wrong. Remember, the local auction barn auctioneer is not qualified or experienced in benefit auction consulting and won’t bring you the results you need. 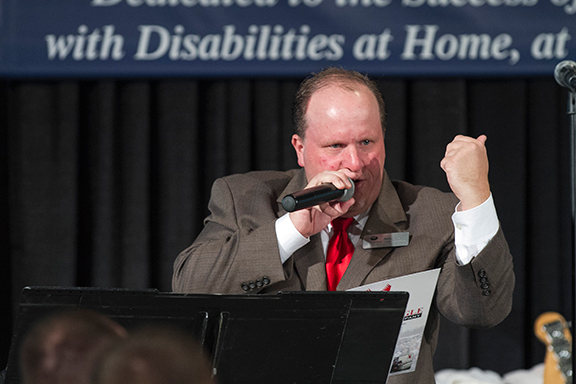 The Once-A-Year Volunteer Auctioneer – It's great that the local weatherman or Wally at your bowling alley volunteered to be your guest auctioneer again this year. Everyone loves that every year your live auction generates hundreds or even thousands of dollars. But what you don't know is hurting your organization. What you don't know is the amount of money the once-a-year volunteer is actually costing your organization because we guarantee you that the untrained professional is potentially leaving thousands of dollars off the table, which always goes undetected until a benefit auction specialist is called to the podium. The Timeline – We have developed an auction timeline to keep your planning organized and on track throughout the entire process. This invaluable resource will save your organization a tremendous amount of speculation, and trial and error time. We call this the road map to auction success! Audience Development – There are two reasons why people attend a benefit auction: commitment and guilt. Knowing this is critical to the success of your event so the right people are cultivated to attend . We’ve developed a unique system to educate you on how to maximize your audience recruitment, which you will learn during one of our seminars and/or consultation meetings. Auction Committees – This area in itself is complex and must be carefully outlined to ensure that your event has the necessary amount of staffing in order to carry out the necessary projects for the auction. First and foremost, you need to designate a Steering Committee who is responsible for supervising the other committees. How many special committees your event will require depends on the size and specific needs of your event. Some of the committees include but are not limited to: Steering Committee, Audience Development, Auction Procurement Committee, Advertising Committee, Publication Committee along with appropriate subcommittees that handle decorations, technology, set-up etc. Live And Silent Auction Items – Knowing what should be in your live auction versus what should not be in your live auction can be the difference in making or losing thousands of dollars for your organization. What appears to be a great live or silent auction item may actually be a poor choice. The best live auction items have an emotional appeal, which are not expensive but extremely valuable to your auction. If your organization is taking in a boat load of consignment items or worse, purchasing items for your auction event, you need to call Kenny Lindsay Fundraising Auctioneers to the rescue. This is just a sample of our Auction Action Plan Workshop© and provides a general idea of what should be involved in planning your next benefit auction. When you contact Kenny Lindsay Fundraising Auctioneers, we'll engage in a lengthy discussion about your fundraising auction. This includes additional items not mentioned here that should be implemented and how to put your developing Auction Action Plan Workshop© to work. Click the box above to find out! 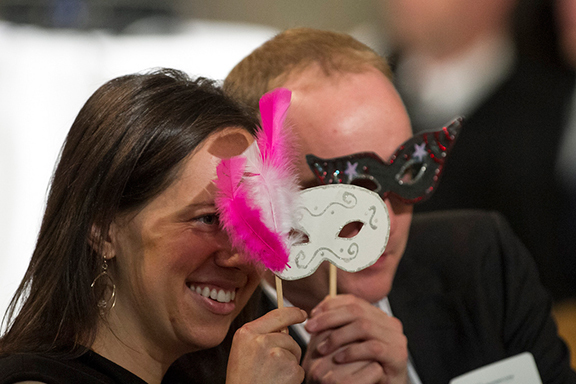 Our goal is to not only deliver a profitable auction, but one that is also fun and entertaining! Add ENTHUSIASM to your event and watch it come alive! Your Advertising Budget: Should You Have One? Ending The Debate: When Should The Live Auction Begin? When Should The Silent Auction End? Auction Action Plan Workshop is Copyright ©2014 Kenny Lindsay Fundraising Auctioneers. We professionally provide live and silent benefit auctions in a variety of venues and for a multitude of groups and organizations. Here are just some of the many places and groups we've worked with.